Poppy Red Supplex with Soft White Berber. If God had wanted you this warm, He’d have given you earflaps. Here’s the classic BOMBER silhouette you know and love, done up in ultra warm and fuzzy Berber. 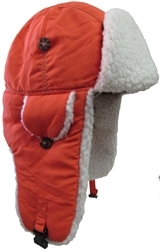 This hat’s got it all, from the quilted lining of recycled polyester in the crown for a snug fit to earflaps that button down or up for easier hearing, to the snaplock closure that can hold the chinflaps up on top of your head or down around your chin for that extra warmth. What? You say you want more? 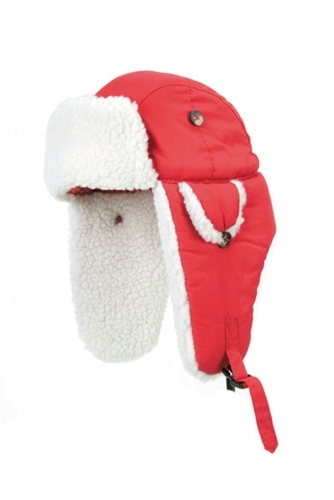 OK, we’ll throw in an embroidered MAD BOMBER® logo on the back of the hat — no extra charge!